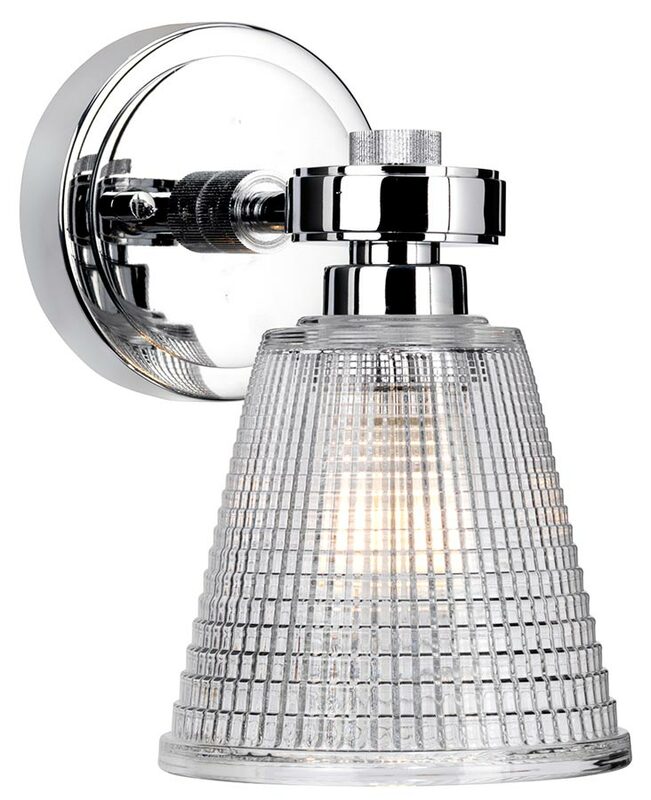 This Elstead Gunnislake bathroom wall light in polished chrome with prismatic glass shade is rated IP44 and features updated traditional style. Boasting a circular wall mount and straight arm, with prismatic glass cone shade containing the lamp bulb. 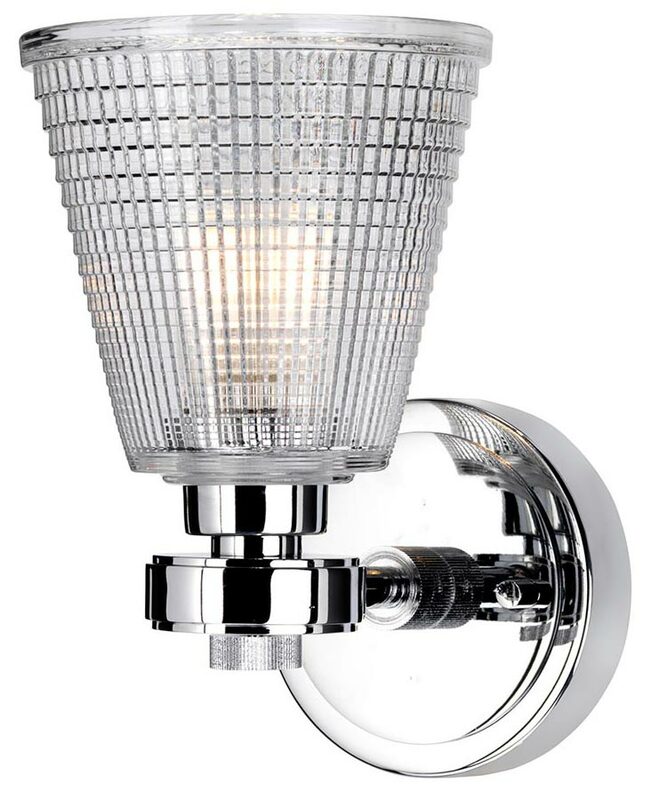 Supplied with short and long finials and can be mounted with the shade facing up or down, please see images. The new Gunnislake is designed by Elstead and the look can be customised. It can be mounted facing up or down, and comes with two different finials to create a unique look. 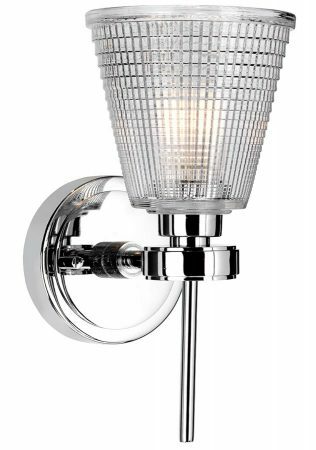 Available in all chrome and also in two two-tone finishes, all with a prismatic glass shade to create a diffused lighting effect. Supplied with a warm white LED 3.5w G9 capsule lamp that can be changed for a brighter lamp if desired. Rated IP44 and suitable for zones 1 and 2. Specifically designed for use in bathrooms but can be used anywhere inside your home except wet rooms. 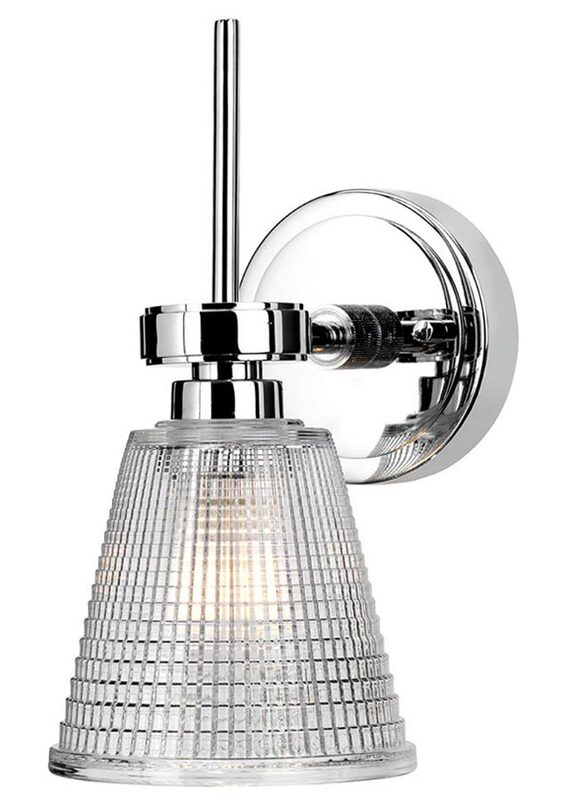 This bathroom light is supplied by Elstead Lighting, a British company that specialises in the manufacture and distribution of quality decorative lighting such as the Gunnislake bathroom wall light in polished chrome with prismatic glass shade and rated IP44 you see here.